My favorite part about opening up a new, crisp, fresh issue of Vouge would probably be reading a new Hamish Bowles article. Mr. Bowles is one of my favorite fashion journalists and the one I look up to and pull inspiration from. I adore his individual style whether it's fashion or interior design. His quirky yet intriguing style is definitely his own and he knows what works. Like most people, he had to work his way up to get to Vouge and that he did. In 1984, Hamish started work at Harpers & Queen as the fashion editor. While working there for almost five years, he was promoted in 1989 as the new style director. A few years later, after working at Harpers & Queen, he made the move to Vouge. In 1992, he started out as Vouge's style editor and a few years later, he landed the job as the European Editor at large. In April of 2001, Mr. Bowles was the creative consultant at Metropolitan Museum of Art. He was also the organizer of the international and renowned Costume Institute Exhibition for "Jacqueline Kennedy: The While House Years Selection from the John F. Kennedy Library Museum." Being the Editor at large for Vouge and Editor and Chief for special Issue of Vouge Living, one would expect that he would have nothing but a spectacular closet and that he does. He has a very well stocked collection of Haute Couture pieces. Having a very extensive collection, he often lends pieces for events and museums. He has a great eye for beautiful things and a mind for beautiful words. The most touching and heartfelt tribute he wrote was for the great Alexander McQueen. I was so happy to see that they got Mr. Bowles to write the tribute. I love every article he has written and every style he pulls off. 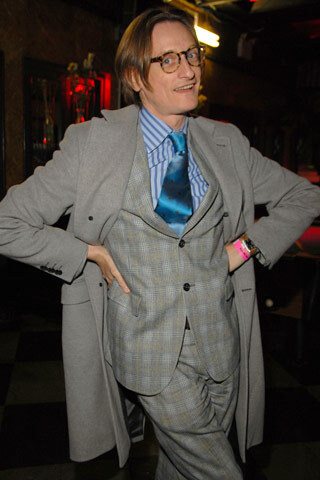 I find Hamish Bowles a fascinating, intriguing, and a very stylish man, and not to mention he resides in both of my favorite places being Manhattan and Paris.